We Will Beat Any Competitors Price!! 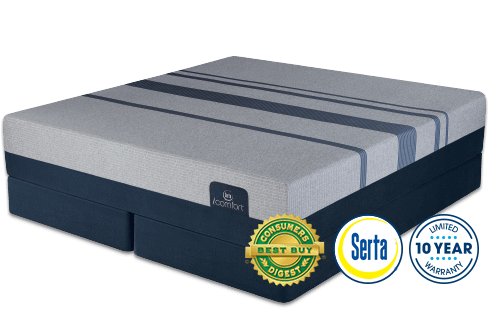 Experience our most powerful temperature regulating iComfort memory foam technology with the Blue Max 5000 Luxury Firm model. 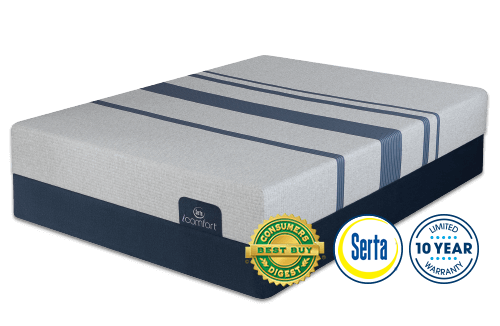 First, it combines our TempActiv™ Max Gel Memory Foam and TempActiv™ Touch Fabric Technology with two layers of our firm Deep Reaction™ Memory Foam for an instant "cool-to-the-touch" feeling and enhanced heat dissipation. Next, a layer of ActivBalance™ Support Foam and our all-new Air Suspension Technology™ helps further enhance comfort and support. These materials work together to relieve painful pressure points while helping to keep your body properly supported so you can relax your body and mind. 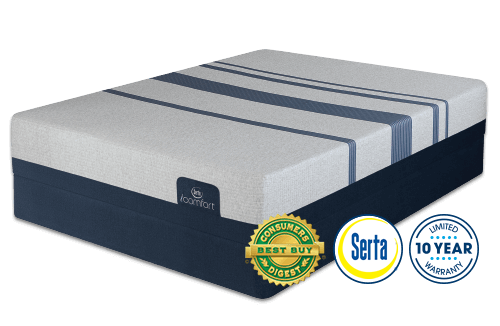 Speak with one of our Serta Sleep specialist? We are here to help. Experience our most powerful temperature regulating technology with the Blue Max 3000 Elite Plush model – the most luxuriously soft iComfort memory foam mattress we offer. 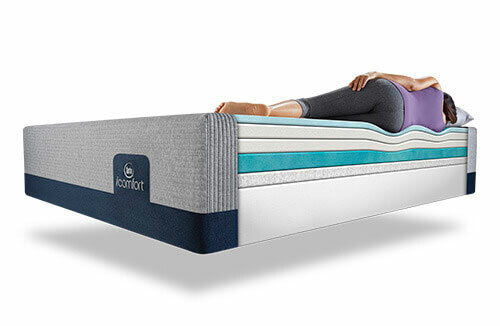 First, it combines our TempActiv™ Max Gel Memory Foam and TempActiv™ Touch Fabric Technology with two other layers of premium memory foam for an instant "cool-to-the-touch" feeling and enhanced heat dissipation. Next, a layer of ActivBalance™ Support Foam and our all-new Air Suspension Technology™ helps further enhance comfort and support. These materials work together to relieve painful pressure points while helping to keep your body properly supported so you can relax your body and mind. Step up to our next level of cooling comfort with the Blue Max 1000 Cushion Firm model, featuring even more temperature-regulating technology than our Blue 100, 300 and 500 models. It combines our TempActiv™ Max Gel Memory Foam and TempActiv™ Touch Fabric Technology with two other layers of premium memory foams for an instant "cool-to-the-touch" feeling and enhanced heat dissipation. Plus, a layer of ActivBalance™ Support Foam enhances the responsive feel of the memory foam layers, creating a substantial and extremely comfortable cushion-firm feel. The Blue Fusion 500 Extra Firm is finished with our soft, yet durable TempActiv™ Balance Fabric for high-performance heat and moisture regulation.